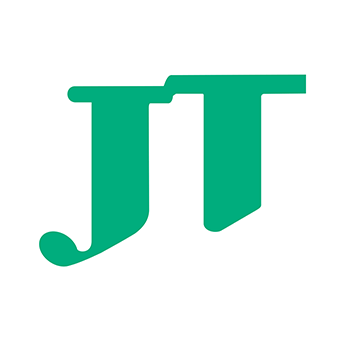 クラスメソッド > 企業情報 > Corporate Information > Cases: Classmethod Members – Japan Tobacco Inc.
Japan Tobacco Inc. (JT) is the sole cigarette manufacturing company in Japan. Marketing and promotion of tobacco products is limited and differs from that of other manufacturing companies. For this reason, JT provides smokers in Japan a membership-based web service called “JT Smoker ID”. This web service aims at achieving efficient digital marketing by delivering updates to each of their users. JT regards data analysis as an essential part of their operations when it comes to efficient delivery of personalized marketing. However, prior to 2015, they were analyzing their data one by one on Microsoft Excel, along with using simple BI tools. In 2016 the company decided to adopt a cloud-based data integration infrastructure, and built a data analysis infrastructure using “Tableau Online”. Despite these upgrades however, JT still ran into difficulties when it came to performance and storage. To resolve these issues, they decided to migrate the entire system onto Amazon Web Services (AWS). This provided them the performance they needed, along with a suitable analytical environment. JT chose Classmethod as their partner in migrating their data analysis infrastructure. They were interested in our “Customer Story (CS) Analytics” service. This service includes analysis tools such as Tableau and Redshift, and provides a total package service that includes system development and operation. Moreover, Mr. Tanaka had read our technical blog “Developers.IO” on several occasions while gathering information about Tableau. Application of traditional data collection infrastructure in order to send the data to Customer Story (CS) analytics. Adopting Tableau as a BI tool so the marketing team could operate within the same web interface. Although a short time period for deployment was a top priority for JT, they did not perceive it as a feasible possibility for us to complete it. However, with CS analytics, we were able to deploy the system in just one month. For Japan Tobacco Inc.’s business, the data analysis will be more valuable. We are pleased to support our clients by consulting them on technical issues and offering to integrate AWS systems.